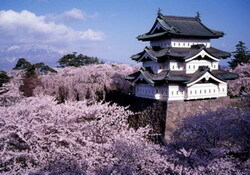 Tohoku Region is located in the north of the main island of Japan – Honshu . Visiting Tohoku during a tour of Japan, you can find a lot of interesting, because in spite of the predominantly rural areas, the region is rich in tourist attractions, festivals, spectacular views. Summer in the region short, cool in comparison with other regions (here the temperature 10 degrees lower than in other parts of Japan), but extremely beautiful and eventful. Bright vegetation combined with clear skies in the summer period creates an ideal setting for many celebrations and festivals. Just a couple of hours away by “Sinkansene” Tokyo is the city of Sendai , where you can go to a place called Matsushima – one of the pearls of Japan. Where you can embark on a cruise around the bay, enjoying the amazing views of dozens of small islands among the sea surface. A bit farther from the Sendai is the city of Hiraizumi , famous for its temple belonging to the Buddhist religion. Chūson-ji Temple was founded in the early 12th century and since then holds eleven statues of Buddha , with great religious and cultural significance. All statue covered with gold, and therefore room in which they are stored, named Golden. From Morioka it is recommended to go to express in Aomori Prefecture, where close to one of the most amazing lakes – Lake Towada . This lake is located in the central part of the national park and is adjacent to the picturesque valley of Oirase. Oirase Valley stretches for fourteen kilometers and contains a lot of interesting – is rich vegetation, which are surrounded by the river with small waterfalls, narrow gorges give privacy and reveal all the beauty of pristine nature. In Aomori Prefecture, conducted excavations, which you can visit and see for themselves the work of archaeologists. The excavations have shed light on many issues related to the Neolithic era, which separated five thousand years away. 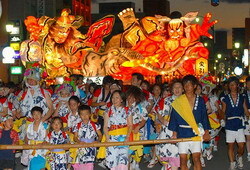 The city of Aomori attention of tourists annually attracts Nebuta festival , beautiful and magnificent festival. 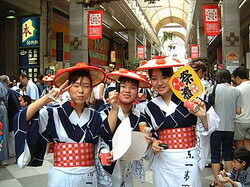 Another interesting festival is held in Akita , and is known as the Kanto Festival . See bloom at once five thousand cherry trees can be in the city of Hirosaki , easily reachable on the express train from Aomori, in just 30 minutes. Hirosaki Castle at the beginning of cherry blossom pores immersed in the delicate fragrant flowers and consistently draws crowds of enthusiastic tourists. Hiking in the mountains of Shirakami-Sanchi with wildlife, which is not affected by human intrusion, you can take on the border with the Aomori Prefecture Akita region. Special route for tourists is designed to show all the fun. Among the pristine nature of the located real samurai village, with old houses and buildings of economic purpose. This place is called Kakunodate and is an hour’s drive from the Akita. 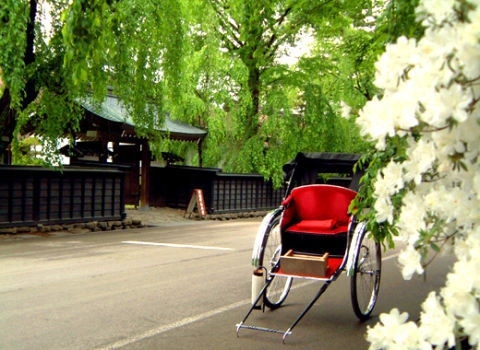 The village is a museum, you can see the house, enjoy the tea ceremony and tasty lunch dishes favorite samurai. The atmosphere of ancient Japan recreated here as fully and authentically. 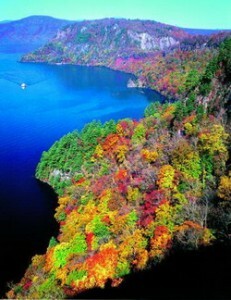 Tohoku is rich in ski resorts and hot springs. Of particular interest are the mountain lake,Okama lake will surprise you with a bright emerald green water, and Invasiro Lake , offering beautiful scenery.